Imagine the steady drip, drip, drip of water over rock creating tiny, bright crystal mineral formations through time. Sparkling like snow, sugar or intricately set pave’ diamonds, those tiny crystals set Drusy apart from any other gemstone on the planet. That extraordinary sparkle is the reason jewelry designers, like the Koorey family, choose Drusy to create one-of-a-kind pieces. Our history with Drusy dates back to when it was first introduced in the United States by German gem cutters who recognized its gemlike qualities. But Drusy, like most precious gemstones, was born when the earth was forming. Geologists tell us that when the dripping stopped, tiny crystals formed as the mineral-rich water evaporated. The crystals were encased in hard rock formations called “geodes”, waiting through the centuries to be cracked open like a jewel-filled egg. 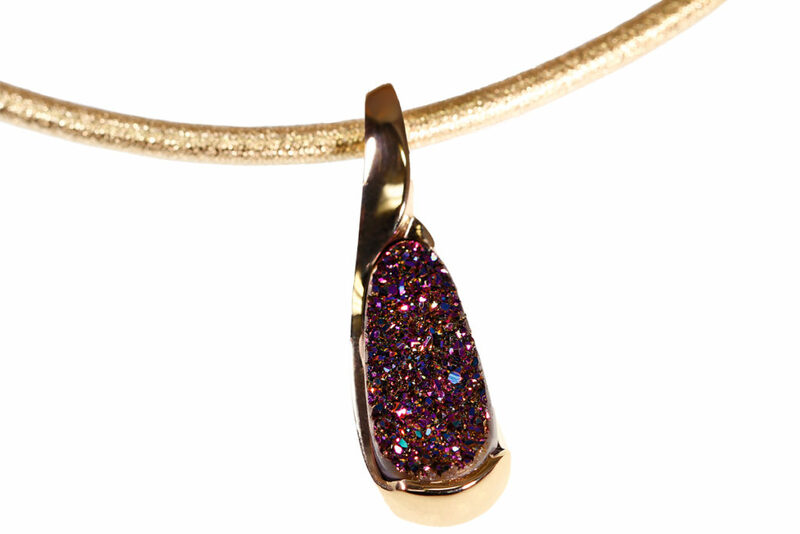 Most Drusy today is colored or enhanced with thin deposits of precious metals like silver or titanium. Less common types, including Drusy that develops with garnet, pyrite, azurite and even turquoise, stand alone for natural coloration prized by innovative 21st Century gem-cutters and jewelers producing jewelry of exceptional rarity. 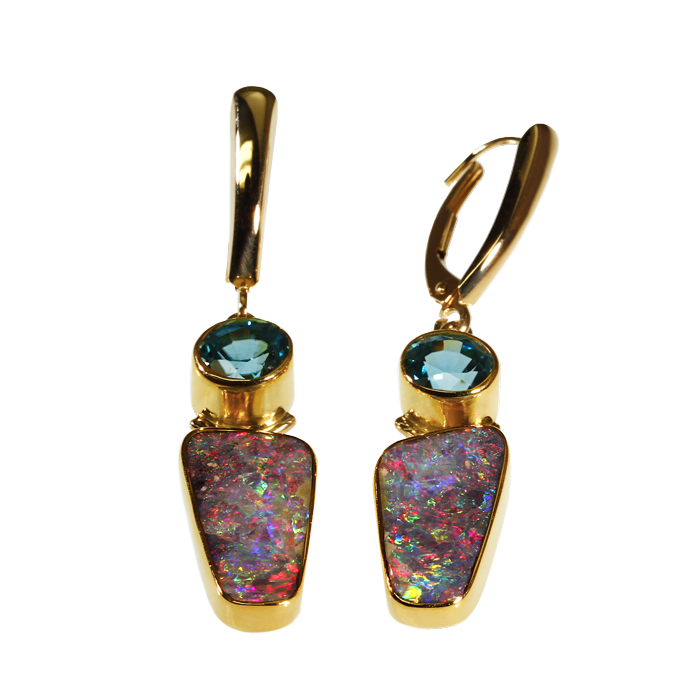 Best suited for earrings and pendants, Drusy is a signature gemstone of the Koorey line favored for its natural dazzle. Imagine…over 20 years of creative experience and the trail of happy customers. Imagine Drusy at its best! How Do I Clean Drusy? Clean the tiny crystals on the surface of the drusy quartz with unscented dishwashing detergent, water and a soft brush. What Are The Properties of Drusy? 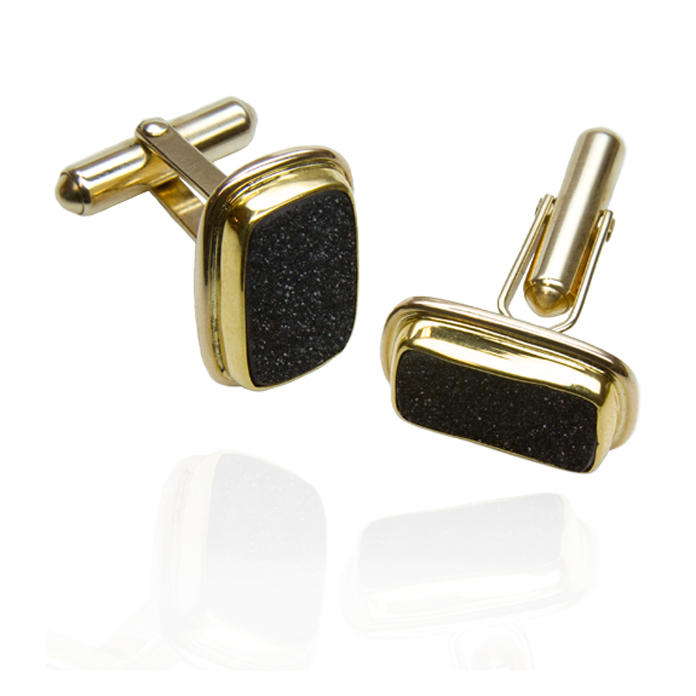 When a precious stone has tiny crystals formed on its surface, it is said to be drusy. When mineral and silica rich water gets into the porous area of a gem, it eventually cools and crystallization occurs, and this is how drusy is formed. Where Does Drusy Come From? Drusy can form on just about any mineral substrate, but the gem-quality drusy quartz generally forms inside geodes–hollow rocks with crystalline structures inside. Brazil and Indonesia are major sources of drusy quartz. Mined exclusively in the opal fields of Australia where 90% of the worlds’ opal is produced, Australian Boulder Opal is the only opal that naturally forms on a hard ironstone base. Left intact when carved, this hard “matrix” makes Boulder Opal the most durable and thermal resistant opal available. The stones unique internal structure diffracts light in a spectrum of phenomenal radiant flash and color, making each piece a one-of-a-kind natural masterpiece. Our Boulder Opal comes from a private mine in the heart of opal country and naturally forms bringing out the best play-of-color and flash possible. We individually design each setting to highlight the opals intrinsic beauty. 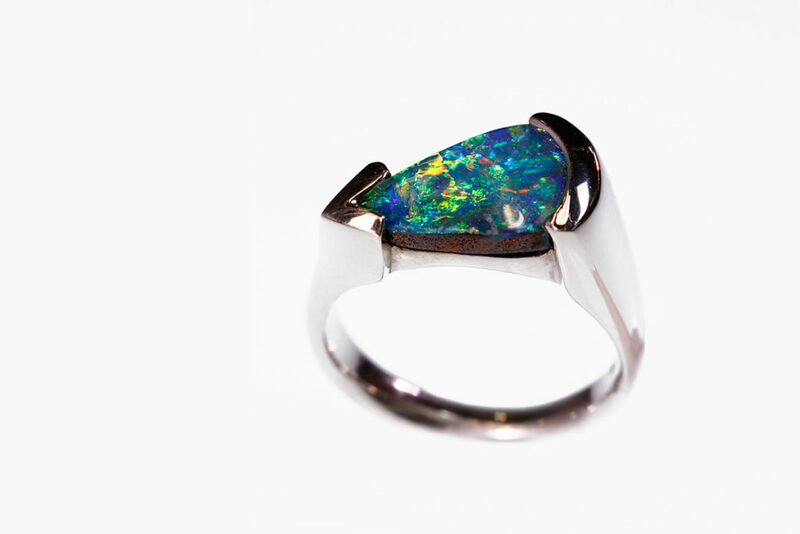 To own a Boulder Opal is to possess a piece of nature – the master of intriguing, limitless beauty. Never use an ultrasonic cleaner on your opal jewelry. It is too strong and could cause permanent damage. Do not use hot water or extremely cold water on opal jewelry. Temperature change can crack the stone, just like it does to glass. Store each piece of opal jewelry in its own padded bag or case. It can get scratched if it rubs against your other jewelry. Solid opal can be cleaned with a soft detergent in warm water using a soft cloth or brush. Once cleaned the opal should be rinsed in clean water to remove any residue. Opal is a unique and beautiful gemstone which will last indefinitely if properly cared for. Generally speaking you should treat your precious opal with the same care and respect as you would with any fine jewelry. While there are some special requirements, caring for opal is really very simple providing that you keep in mind two basic facts about opal: First, most precious opal contains about 5% water or more. Therefore, opal can craze or crack when subjected to harsh, dry conditions and rapid changes of temperature. However, Australian Boulder and Ethiopian Opals are a tougher and a more thermal resistant form of opal. Second, opal has a hardness of about 5.5 to 6.5 measured on the Mohs’ scale of hardness – compared to diamonds at 10, or topaz at 8. Therefore, opal like any other gemstone can be broken, chipped, scratched, or lose its shine with heavy wear and tear. Generally, white based and black based opals, if exposed to heat or stored in dry airtight places, including safety deposit boxes, can cause the opal to lose moisture and dehydrate. That is why we primarily sell Australian Boulder Opal. It comes carved in tact in the “mother matrix”, ironstone. This rock gives it an added base of protection even in storage. We also welcome Ethiopian Opal into the family of “more dehydration resistant” opals.